This salad is just lovely on a hot summer day. I found this on http://tilda.com. Tilda is a brand of basmati rice and they offer recipes on their website. This is from the website and definitely a keeper! Cook the rice in a large pan of boiling water following pack instructions.Drain and spread out in a thin layer in a wide, shallow serving bowl. 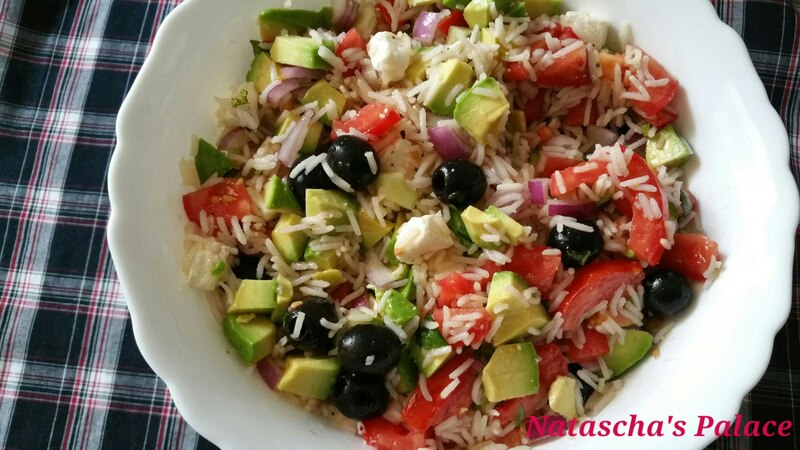 Allow to cool.Meanwhile, place the tomato, cucumber, red onion, avocado, feta cheese, olives and fresh herbs in a bowl and stir gently to combine. Place all the dressing ingredients in a bowl and mix well.Season to taste, then stir gently through the cooked and cooled rice.Add the tomato mixture to the rice and stir gently to combine. Serve immediately. Sounds delicious, perfect for summer! I agree and basmati is so good!